The Cupid’s Community is a vibrant group of do-gooders who are out to make a difference and #EndNF! 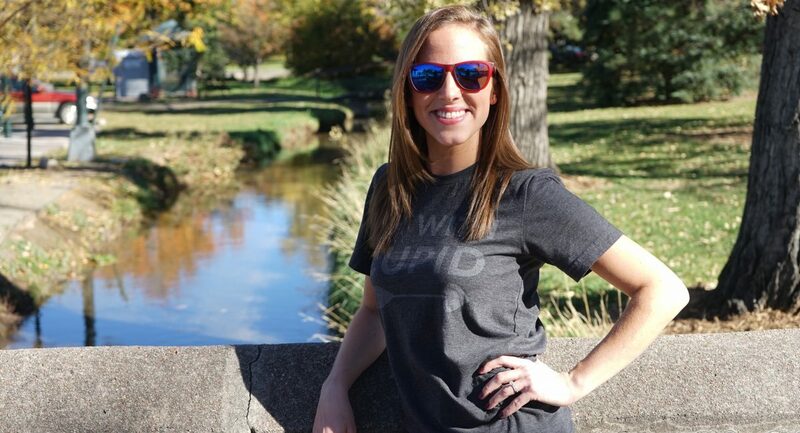 This month we’re sitting down with Alyssa Greenbaum, Cupid’s Customer Engagement Manager. 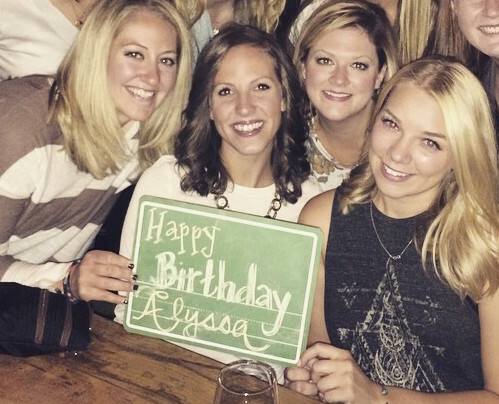 Alyssa joined the Cupid’s team in 2013 and about a year ago, she took the lead on our DIY fundraising program, Project: Cupid! In a real practice-what-you-preach moment, Alyssa also raised $1,280 for NF research by donating her birthday to Project: Cupid. Cupid’s: Where are we at right now? Alyssa: At work, chugging water. C: Why are you drinking water? A: ‘Cause I think I OD’d on coffee this morning (chuckles). C: How’d you hear about Cupid’s? Were you an undie runner before you were an employee? A: I first heard about Cupid’s through a friend of a friend after I moved out to Denver. They mentioned that a really fun, local non-profit organization was hiring. And, oh yeah, they hosted undie runs. C: What did you think about that? C: But you applied anyway? A: Yep, I applied for the customer service coordinator position, was hired, and a few months later, experienced my first official undie run. Can you say…best day ever?! C: So how’d you go from undie running to setting up your own fundraisers for Cupid’s? A: I still love the Undie Run, but that only comes around once a year. And it wasn’t just me, a lot of people wanted to raise money for NF research more often. 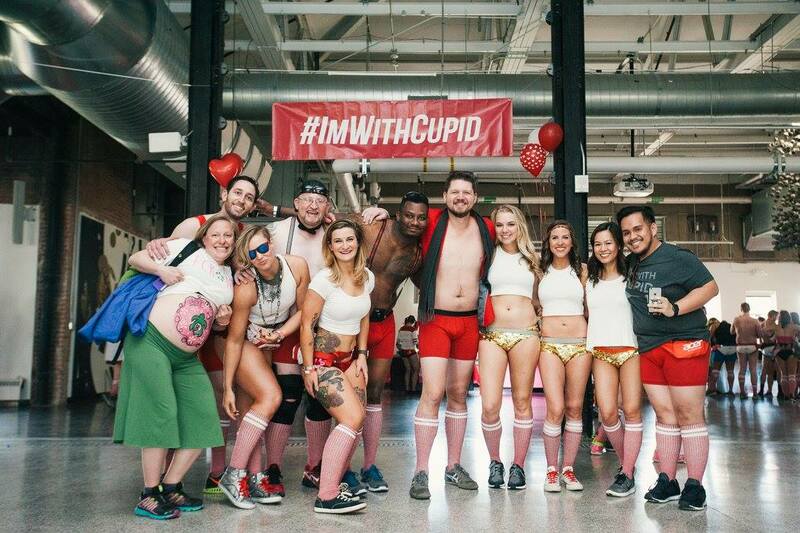 C: Project: Cupid is nice for those people who aren’t comfortable running in their undies, too. A: Exactly! Even though pantsless Fridays are a normal thing in our office, some people just aren’t up for it. C: So many people ask us how they can make donations in honor of a loved one. Would Project: Cupid be a good way to do that? A: In my experience, I think Project: Cupid can be the best way to do that. A few years ago, I decided to donate my birthday in memory of my brother-in-law, who had recently lost his battle to NF. I knew that every donation I received would help advancements in research and bring support to those millions of people around the world affected by NF. To me, there was no better way to honor him than to help other people who are still fighting for a cure. C: What are some of the other projects that people have done? A: The opportunities to fundraise through Project: Cupid really are endless. That’s part of the fun of it. You can host any type of event that you can think of! In the past year, we’ve seen a brewery happy hour, a karaoke night, a dodgeball tournament, and a jazz concert. With the holidays in full swing, I’m even thinking it could be a great way for people to ask for donations in lieu of presents. C: Oh yeah, I’ve gotten to the point where I have so much stuff, I always ask my family to donate in my name for Christmas instead of giving gifts. It makes the holidays so much more rewarding for us too. I’m sure the birthday you donated isn’t one you’ll forget. C: You also manage customer service at Cupid’s, so I bet you get to talk to our NF community all the time. A: I sure do – and how lucky am I? The best part of my job is interacting with such phenomenal people on a daily basis. Our NF champs, their families, friends, co-workers — I am constantly communicating with an incredibly positive and passionate community. What’s not to love about that? C: So how would I actually sign up for a Project: Cupid? A: It’s really easy! Pick a project you want to do and then register for free on our website. And, if you’re not sure what kind of event to host, we have a bunch of ideas for you there too. A: After that, we give you your own fundraising page, some great marketing tools, and then we let you take it from there. This platform really encourages creativity, dedication and FUN. I feel like those characteristics really sum up our community right there, so we’re excited to see where this goes!